Recognized today as one of the country's pioneering black comedians in the country & given his invaluable contribution to local comedy, Kagiso Lediga has certainly earned his right to be called a South African comedy legend. For over a decade - this multi talented comedian has entertained audiences in the live space, on the small screen, on the big screen and also now from behind the screen producing some of the most groundbreaking comedy content this country has ever seen. He is a natural storyteller with an enigmatic comedy style that blends schoolboy charm with creative genius, sharp intelligence & wit. 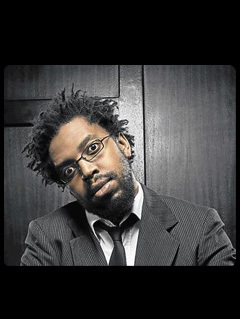 However, if there was a SA Comedy Hall of Fame - it is his achievements thus far that would entrench his position there.